I am just back in the office after the 2017 SHOT Show. From communication that I have received, it would appear that I have not done the best job of communicating the 2017 Mobile Classes. Partly it may have been an issue with the links available via the Training Calendar, which has now been changed to include a direct link to each class page. Each class has its own page which lays out the details of the class. 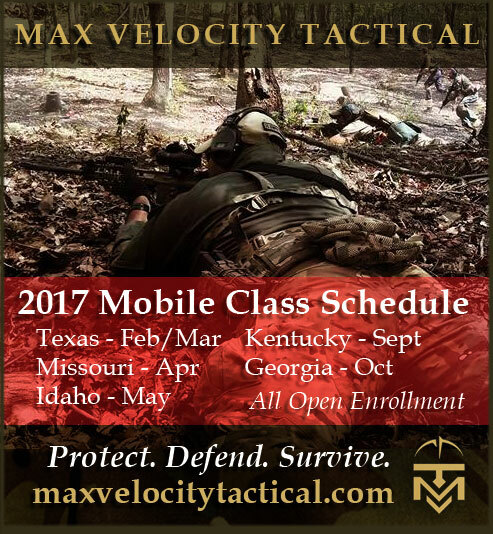 MVT is doing something a little different in 2017, and that is adding a lot more mobile classes to bring the training to you. There are still classes at the VTC in Romney, just not as many as usual. This has discombobulated some, because it has taken them 4 years to get used to there being a VTC, and now we changed it up and went mobile! The mobile / remote classes are the same classes as we hold at the VTC, and we bring the pop-up targets with us. Each class has its own local flavor due to terrain differences. The only difference in classes is that for these mobile classes, we are offering a ‘Direct Action’ class. These vary from 2 or 3 days depending on the mobile class, and are in effect a shortened Combat Patrol Class focusing on the specifics of live fire Ambush and Raid. These Classes are all Open Enrollment. There are spaces on these classes. 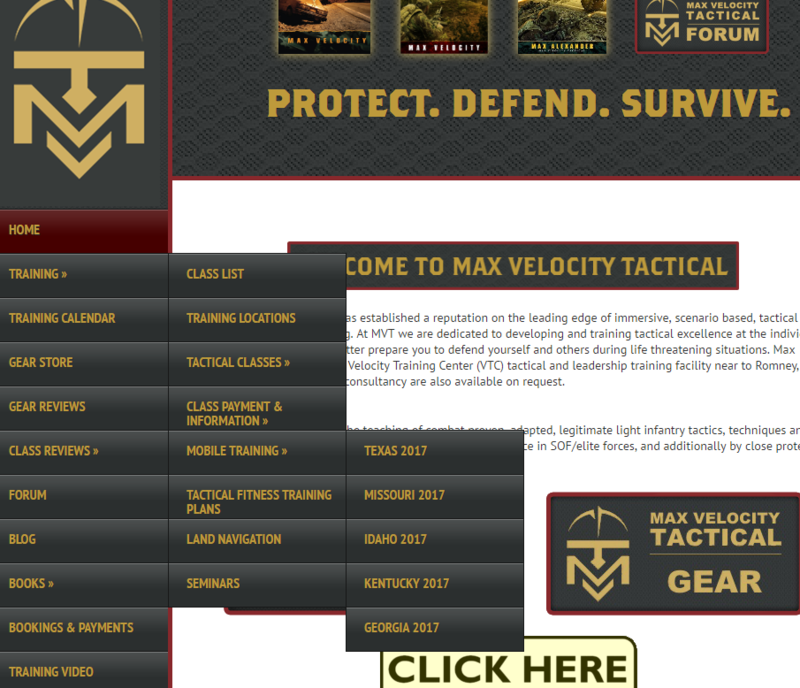 Email maxvelocitytactical@gmail.com to check if space is available before paying your deposit.